MediaNow was such an early adopter of digital signage, that most Client’s we spoke to didn’t know what it was. MediaNow been at the forefront of digital Signage since day one. We bring proven technology, brands and experience that leaves nothing to chance. Our process of merging Design Thinking with Value Engineering is the key to your Digital Signage success. 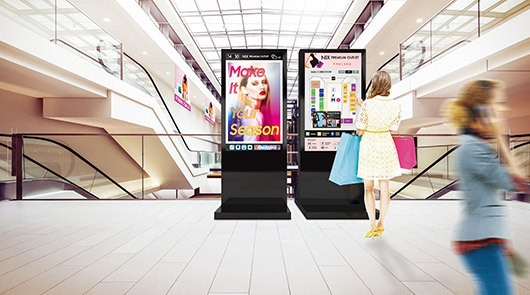 MediaNow evaluates and specifies digital signage in a unique way for each deployment. Always evolving we understand in order for digital signage to be effective as well as dynamic, it must be constantly changing, reshaped and relevant, to engage today’s media-conscious audience. We research and test new products, new methods, new strategies and new tactics to meet the new realities. When the need is Digital Signage: software, hardware, displays or accessories, MediaNow offers unmatched expertise that will save you time, money and frustration . 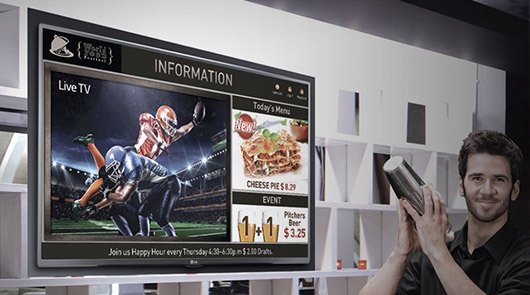 When you want to dynamically communicate with your customers or your team, digital signage is the best way to go. Today’s digital signage systems can do a lot more than just display dynamic images and data. Some systems will give you the ability to control access and lightning, integrate security systems, distinguish customers by demographics plus collect and display analytics. At the heart of every digital signage system is the software. Your choice of software determines everything your system can and can’t do. Believe it or not the can’t-do is important for users who only require certain functions and would rather not pay for them. The can-do is for users who have specific applications that demand extended features. That is why MediaNow offers multiple brands of digital signage software that is time proven to deliver professional results. We have been working with some digital signage software for well over a decade. 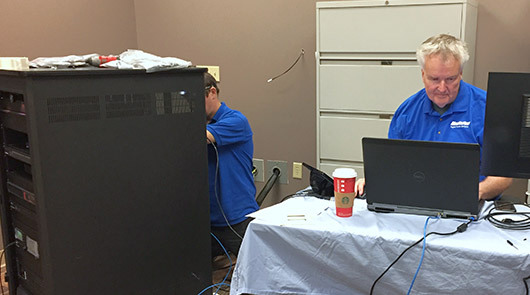 Our team is delivered and installed systems for every branch of the US Armed Forces, the FBI, DIA and dozens of other important state and federal agencies. We are also proud to have supported the needs of Mom and Pop businesses and fledgling startups. Most competitors have whatever you need; provided it’s the brand they carry. At MediaNow you can select from multiple brands that meet your intended purpose and preference. Choose from Scala, a brand that has been around for over 25 years with over a half a million players in service. Choose from Appspace, a newer brand with roots to Cisco and unlimited applications. Go with Visix and create detailed wayfinding and dynamic signs. 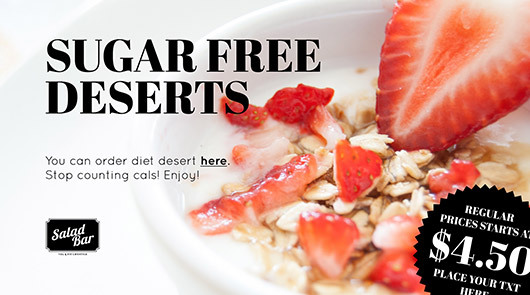 If you need easy to use, yet versatile digital signage software for menu boards, brands like BrightSign and Digit will fit the bill. 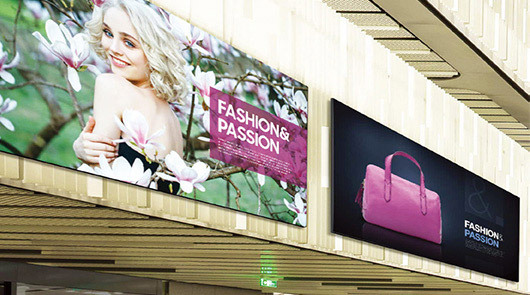 For all in one software and displays, Supersign from LG is ready to deploy in minutes. Any serious digital signage deployment should always begin by consulting software experts who talk the talk and walk the walk. Ask questions, fact check the answers. 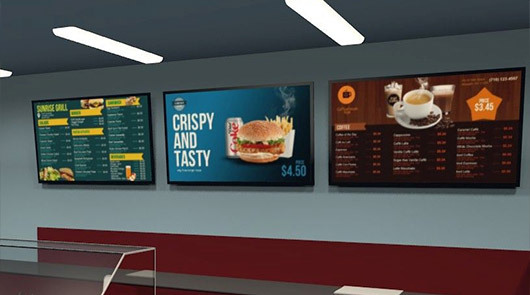 For most users a digital signage system is a major undertaking and capital expense. You need to be sure the critical factors you require are included and scalable. Be sure that training, upgrades and technical support will not only be available next week but next year and the year after that. Be sure that operating costs as well as the learning curve fit into your plans. Be sure that the software works with the graphic design and video editing formats you use. Contact MediaNow today for a digital signage demo or price quote. When it comes to commercial grade digital signage displays MediaNow has good news for you. The quality has never been better and the pricing is never been more reasonable. Whether you’re looking for 2K, 4K or even 8K higher custom resolutions MediaNow can precisely meet your needs. You will find every major line including: LG, Sony, Samsung, Planar, Sharp, Phillips, Digital Projection, and others. You will always find prices competitive with any online seller. What you will get here is expert advice that explains the subtle difference from brand to brand and model to model. Plus Design & Build services for corporate, industrial, medical, government and projects or deployments. We offer the right displays FOR YOU, built to work eight hours or 24/7, at the lowest possible cost. Leave the consumer stuff where it belongs, on the walls at Walmart. If your operation serves the public, then turn to MediaNow for professional grade products. Nobody understands public displays and digital signage better. OLED technology from LG as well as QLED technology from Samsung for the last word in digital signage displays are now available at MediaNow. These truly amazing screens with less than 1mm thin panels emit light directly from the pixels, eliminating energy burning backlights. Interested buyers should contact one of our Consultants directly to discuss the differences and advantages of each approach. They will be happy to provide you with the technical details and a no obligation quote. 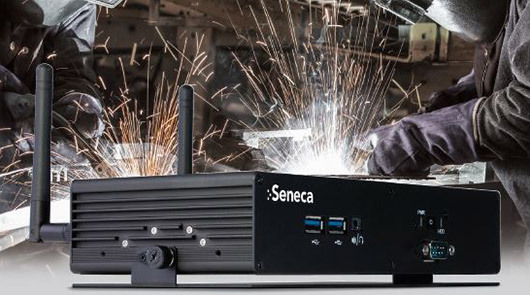 Media players are arguably the most critical component in a digital signage system. 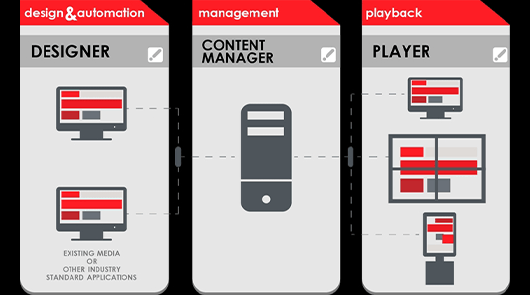 They not only play out your content, they typically control the display’s functions. (on-off-status) In the case of interactive touch panels, the player is often where the software resides, the transaction is completed or data is relayed. All of those features are dependent on the ports and connectors available on your media player and its ability to stay online. An important fact about media players is that no matter what display or television you use for your digital signage, the image and resolution are only as good as the video card inside the player not the display. Always examine the players specifications to be sure. The latest crop of media players can support 4K as well as 1080 images and video. The most significant new feature in high-end players include: two, three, four and six dedicated outputs (channels) on a single chassis. What’s really sweet about this is that these players can stitch multiple channels together using a technique called VLS. 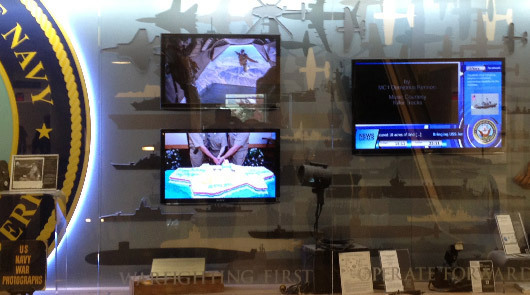 Very Large Scale programming allows users to develop very cost-effective video walls and custom displays. Speak to one of our engineers for more details and exciting ideas for your application. MediaNow offers the best media players anywhere, bar none. Compare features, warranty and prices and decide for yourself. With MediaNow, you have access to the widest selection of professional digital signage products available anywhere in the US, ensuring you are purchasing what you need to succeed. In addition, you will always receive the high level of service and personal attention that you expect. 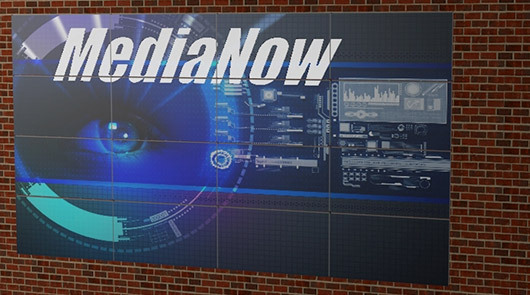 MediaNow has earned a national reputation from designing and building professional systems for: digital signage, media streaming, education, live events, podcasting, advertising and entertainment. In addition to our in-house staff we have developed a rock-solid national network of: designers, programmers, developers, engineers, tradesmen and installers. In most cases, the experts we feature can design and build systems faster better and cheaper been almost any in house resource. Trust us, the work we do is the result of years of seeing the good, the bad and the ugly of technology. Our business has evolved and grown by developing intelligent methods and techniques that minimize risk and maximize investment. Because we stand behind every project we deliver. we cut no corners in making sure ypur expectations are not only met but exceeded. MediaNow’s digital signage practice is anchored by relationships with the companies and people who literally wrote the book on dynamic digital signage. Add to that dozens of engineer’s, developers, designers, artists, installers and technicians that are not only professional, they are pleasant and fun to work with. Most of the people we work with won’t stop until the job or project is done perfectly. We take the art and science of digital signage to the limits. In an age where every household has a flat panel television and every person carries a smartphone, if your digital signage does not stand out it will be ignored. Don’t take chances. If you want professional results turn to the professionals who care. We look forward to working with you. You can see our work at Times Square, but not what we designed and built at the Pentagon. 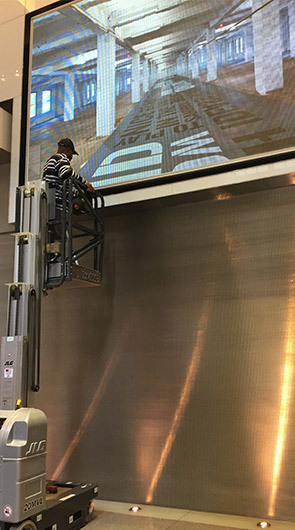 Video walls have become the most popular choice for large-scale indoor public displays. 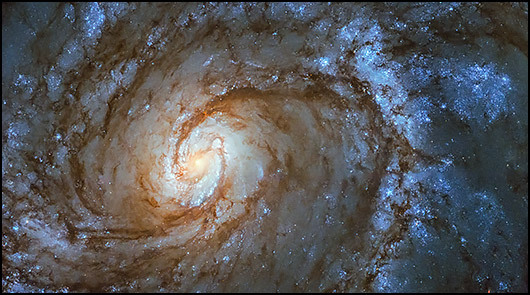 There is clear advantage as they do not require a dark space to make a large picture as do projectors. A 2 by 2 screen video wall can look great and does not require a lot of preparation. However, for a larger installation to be effective and long-lasting, attention to detail will be required. Physical requirements such as weight loads, power and air conditioning must all be accounted for. 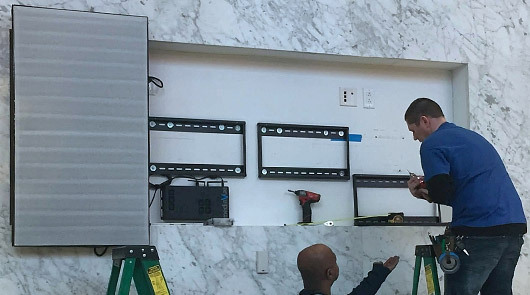 MediaNow is your one stop shop to find the right video wall components; as well as engineering and installation support. Buyers must be aware that there are dozens of ways to create a video wall from using a single media player, to dedicated video wall controllers, digital signage software, and purpose-built applications. 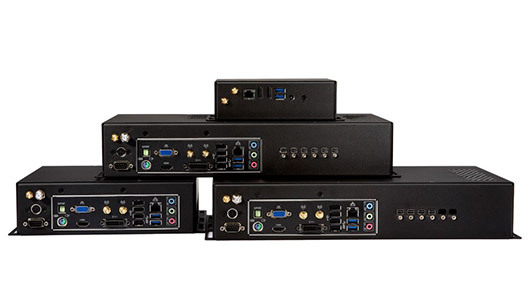 Almost every video wall controller manufacturer approaches video walls in a different way. Some companies rely heavily on software, some prefer hardware. At MediaNow we take an agnostic view of video walls. We work with multiple suppliers and take the time to match the right products to your needs. The only way to do this successfully is to have a very deep understanding of video wall technology and connections to the right sources. Like anything else in media presentation, the right way is the best way. We create video walls that are purpose-built. We will never push anyone into a single solution or a single brand. We can save you money long before your video wall is installed; with our design thinking and value engineering. It is highly unlikely that you you will find any more video wall for less. So let’s talk soon. 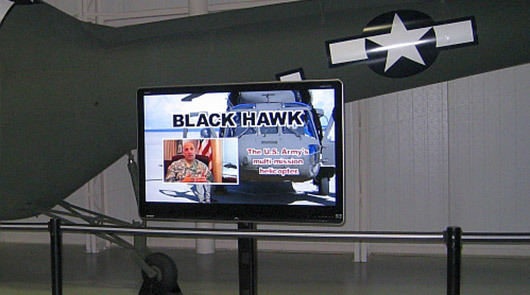 MediaNow designs and builds custom displays that are second to none. If it has to be perfect, it has to be MediaNow, ask our Client’s. LED and SMD have multiple factors that make them the gold standard when developing commercial media. For either technology, size or shape has no limits. An LED is a light emitting diode. As this technology evolves there are multiple manufacturing techniques had taken the pixel pitch down to under a millimeter. These displays can go as high as 8K and easily rival the film emulsion process. The best news is for making larger displays geared towards advertising and entertainment less expensive larger pixels make jaw dropping images as well. The newest organic light-emitting diode OLED that can be flexed to create seamless flowing images even around corners. Commercial grade fine pitch LED from companies like Planar and Digital Projection are becoming the choice for command and control as well as eSports. These screens can be built to virtually any dimensions. MediaNow is an authorized dealer foremost leading brands. We will be happy to design, deliver and install the display of your dreams. Surface Mounted Diodes SMD is not as well-known as LED. However for almost any application where you would be considering LED displays, you should be asking your dealer for options and prices on both Technologies. Don’t forget LED and SMD give you visual choices that have no limits. 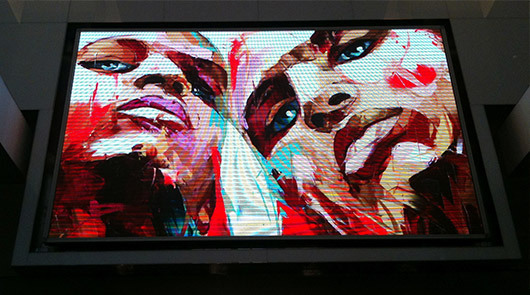 They offer seamless images that are brighter than projection and installation options not available with video walls. 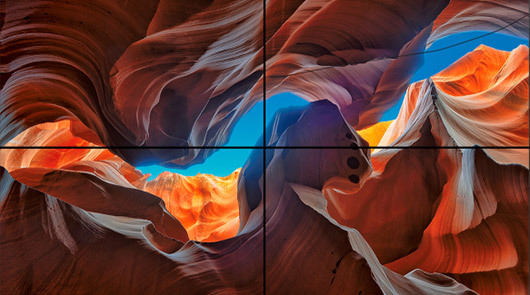 Contact a MediaNow display consultant today and get the full picture at the right price. While the typical flat and tilt wall mounts have become essentially commodity items, ‘Specialty’ mounts, brackets, stands and carts are not. 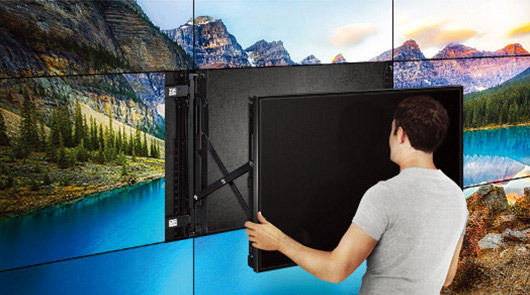 Properly placed and secure mounting is essential for any digital display or television. While the cost of mounting brackets continues to drop, it’s important that buyers understand that too cheap can be Risky Business. MediaNow only presents mounts and brackets that are UL Certified. Anything less can lead to liability issues. Our main concern is to offer our Customers the best possible mount or stand for their application at the lowest possible price. A developing trend in display mounting is to integrate the mount with furniture. We represent companies like Salamander Middle Atlantic and Spectrum Industries; who allow you to create environments we’re digital media fits in, instead of sticking out. Allow us to preview just how beautiful and functional your next project can look. MediaNow understands it is the details that separates true professional tradecraft from mediocre. The right accessories are a key ingredient for any successful media system. Cables that match, conferencing cameras that don’t take all day to use and wall plates that include the right connectors are all critical in a system that will be a delight to use and last for years. 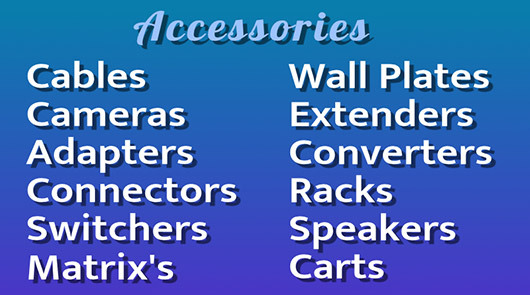 Are accessory sources are the best in the business with years of customer satisfaction behind them. In turnkey projects we will quote or supply all required accessories to deliver a complete and working system. We research and specify the correct accessories. as per application. What’s equally surprising is that other local businesses that can and should be posting their products, services and offerings visually are also missing in action. MediaNow believes that’s salons, barber shops, car washes, auto part stores and countless other retail operations are wasting the presence of customers in house; by not merchandising promoting end up selling with dynamic menu boards. MediaNow can introduce you to the latest affordable technology that can turn the time trusted menu board into a powerful tool that can connect with your customer on the other side of the counter and provide your back office with critical data that will improve your sales process and open the doors two new revenue streams. If you display any type of in-store pricing or merchandising you cannot afford to ignore the Internet of Things and what it means to the future of your business. Contact us today and let us show you what tomorrow’s solutions can do for your bottom line. 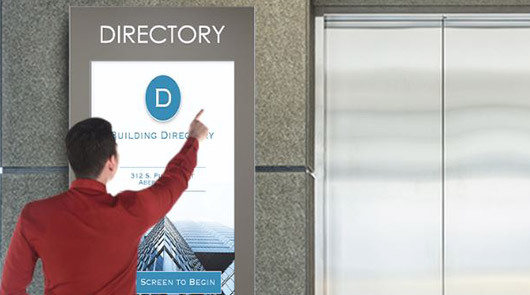 There are a few applications that lend themselves better to digital signage than wayfinding. Gone are the days when a person unfamiliar with the building or campus is forced to be confused with the static map they don’t understand. Even basic digital signage can deliver superior maps and directions with or without advertising. When you add interactivity, wayfinding rises to a whole new level. Digital wayfinding is the key to your visitors getting the most from your facility. Guests can be greeted and directed properly and effectively. Interactive wayfinding can deliver more than directions; they can promote internal and local events and pay off with revenue-generating advertising. They can speak multiple languages and reach a far larger audience. Most of all they work within the digital transformation and The Internet of Things. As well as giving directions, wayfinding kiosks can improve security in crowd control. Most of all wayfinding kiosk and signs can promote self service for transportation and entertainment tickets. Wayfinding capabilities give a visitor a reason to step up and make a purchase or reservation. MediaNow features wayfinding hardware and software from multiple leading manufacturers and software providers. We can offer you wayfinding solutions turn key, complete with installation and programming. All of our wayfinding products and services are available separately; including easy to use software that will let you find your own way. Contact one of our specialists today for a complete no obligation overview on the right wayfinding technology for your requirements. Turn key or do it yourself? MediaNow offers the best technology and value in wayfinding.